The Everyday Oils Kit is a perfect way to start using Young Living’s pure, therapeutic-grade essential oils. You will be amazed at how many uses there are for the oils in this collection! This kit contains 5 ml bottles of ten of Young Living’s most versatile oils: Frankincense, Lavender, Lemon, Melaleuca Alternifolia, Peppermint, Joy, PanAway, Purification, Stress Away, and Thieves. 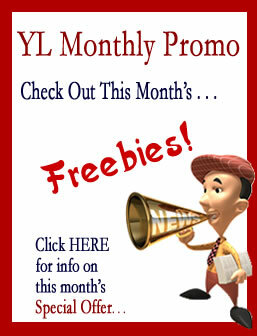 This collection is a key part of Young Living’s Premium Starter Kit. Frankincense is used to support skin health. Its earthy, balsamic scent has calming properties that can increase spirituality and inner strength. It may also provide immune system support. Taken internally, lemon is an excellent source of d-limonene, believed to support a healthy immune system. Commonly known as tea tree oil, Melaleuca Alternifolia can be used in skin care for its cleansing effects. Peppermint essential oil can help support normal digestion. Joy is an uplifting blend of pure essential oils that creates magnetic energy and brings happiness to the heart when diffused. PanAway is a soothing blend that contains wintergreen, clove, and other essential oils. HOW TO USE: Dilute and apply topically on location as needed or use in a massage. The sweet, refreshing scent of Purification instantly deodorizes and neutralizes the air. This blend also contains scents that help uplift, calm, and refresh the mind. Stress Away is the first product to contain the unique combination of Lime and Vanilla pure therapeutic-grade essential oils. Stress Away also includes Copaiba and Lavender to reduce mental rigidity and restore equilibrium when taken as a dietary supplement. Thieves contains powerful essential oils to defend and protect, and as a dietary supplement it can support the immune system. 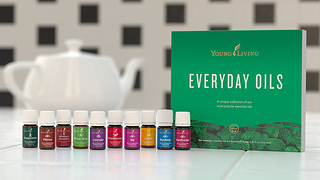 The Everyday Oils Kit is available as a Premium Starter (Membership) Kit for $150. This is an amazing deal! It includes the Everyday Oils Kit, the Home Diffuser, and the wholesale membership that qualifies you to save 24% off of retail prices. The Raindrop Technique Kit combines the art of aromatherapy with the techniques of Vita Flex and massage in the application of essential oils to various areas of the body. This collection provides a revolutionary means of bringing balance and harmony to the body – physically, mentally, and emotionally. Contains: Seven Single Oils (5ml bottles): Thyme, Basil, Peppermint, Oregano, Wintergreen, Cypress and Marjoram. Two Oil Blends (5ml bottles): Valor & Aroma Seiz. Also contains one 4-oz. bottle of Ortho Ease Aromatherapy Massage Oil and one 4-oz. V-6 Enhanced Vegetable Oil Complex. The Feelings Kit features six essential oil blends formulated by D. Gary Young to promote emotional clearance and self renewal. This collection includes Valor, Harmony, Forgiveness, Inner Child, Release and Present Time. How to use: The essential oil blends included in the Feelings collection should be applied topically on the body or diffused for aromatherapy. Please refer to the individual product labels for additional usage instructions including how to dilute specific oils that may irritate sensitive skin. Forgiveness: Melissa (Melissa Officinalis), geranium (Pelargonium Graveolens), frankincense (Boswellia Carterii), rosewood (Aniba Rosaeodora), sandalwood (Santalum Album), angelica (Angelica Archangelica), lavender (Lavandula Angustifolia), lemon (Citrus Limon), jasmine (Jasminum Officinale), Roman chamomile (Chamaemelum Nobile), , bergamot (Citrus Aurantium Bergamia), ylang ylang (Canaga Odorata), palmarosa Cymbopogon Martini, helichrysum (Helichrysum Italicum), and rose (Rosa Damascena) in a base of sesame seed oil. Forgiveness™ contains a synergistic blend of soothing and uplifting essential oils that may enhance the ability to release hurtful memories and move beyond emotional barriers. The process of growth can only proceed when we have the ability to forgive and let go of negative emotions. Harmony: Lavender (Lavandula angustifolia), sandalwood (Santalum album), ylang ylang (Cananga odorata), frankincense (Boswellia carteri), orange (Citrus aurantium), angelica (Angelica archangelica), geranium (Pelargonium graveolens), hyssop (Hyssopus officinalis), spruce (Picea mariana), Spanish sage (Salvia lavandulifolia), rosewood (Aniba rosaeodora), lemon (Citrus limon), jasmine (Jasminum officinale), Roman chamomile (Chamaemelum nobile), bergamot (Citrus bergamia), palmarosa (Cymbopogon martinii), and rose (Rosa damascena). Harmony is a synergistic formulation to help create a harmonic balance in the energy field around the human body. Massage one drop of Harmony on each of the energy center points of your body. There are seven of them along the spine: Coccyx, Sacrum, Lumbar, Dorsal (heart), Cervical (where neck meets shoulders), Medulla (hollow place at center base of skull), and Pineal (center of forehead). You can also massage Harmony on the crown of the head. Harmony balances the parasympathetic and sympathetic nervous systems which, in turn, gives us creativity and feelings of confidence. Inner Child: Orange (Citrus aurantium), tangerine (Citrus nobilis), jasmine (Jasminum officinale), ylang ylang (Cananga odorata), spruce (Picea mariana), sandalwood (Santalum album), lemongrass (Cymbopogon flexuosus), and neroli (Citrus aurantium). When you are a child, all things are possible. There are no limitations. When you have found your inner child, you have found your true self. The child in you is your creativity. Apply one drop of Inner Child on the pad of your thumb and then place your thumb against the roof of your mouth. This opens the cranial sutures and stimulates the pineal, pituitary, and other organs of the emotional brain that occupy the space just above the roof of your mouth. Often we are unable to progress to our highest potential because we are not connected to our identity. Many complications arise as a result of lost identity from the inner child. You can also apply Inner Child on various points depending upon how you are directed: around the navel, over the heart, applied on the sternum, the throat, or behind the ears. Present Time: Neroli (Citrus aurantium), spruce (Picea mariana) and ylang ylang (Cananga odorata) in a base of almond oil. Present Time™ has an empowering fragrance that heightens the sense of being “in the moment.” Concentrating on the past can be counterproductive. You can go forward and progress when you focus on the present time. Release: Ylang ylang (Cananga odorata), lavandin (Lavandula x hybrida), geranium (Pelargonium graveolens), sandalwood (Santalum album) and blue tnsy (Tanacetum annuum) in a base of olive oil. Release™ combines uplifting, calming oils that stimulate a sense of peace and emotional well-being, which in turn facilitate the ability to release anger and frustration. Repressed negative emotions lie at the root of many health concerns. Release promotes harmony and balance in the mind and body. Valor: Spruce (Picea mariana), rosewood (Aniba rosaeodora), blue tansy (Tanacetum annuum) and frankincense (Boswellia carteri) in a base of almond oil. You should start with six drops of Valor on the soles of both feet at bedtime or whenever you decide to use this kit. Try Highest Potential along with the Valor. These two blends are effective to erase limited thinking. Valor balances and equalizes the body’s energies, thereby increasing oxygen intake to the pineal gland—the seat of our higher intelligence and intuitive faculties. You will wake up more self-assured and more alive to start the day. The Golden Touch Kit contains seven blends: Di-Tone, EndoFlex, JuvaFlex, Melrose, Raven, R.C., and Thieves. Essential oils are regarded by more and more professionals as the missing link in health. These formulas have been specifically created to take advantage of the oil constituents that support many systems of the body. Golden Touch 1™ provides immune protection all throughout the year. Refer to individual oil blends for specific benefits. The Twelve Oils of Ancient Scripture Collection is made up of the 12 most significant oils found in the Bible. Gary Young’s wish is that you savor and enjoy these precious and pure essential oils with their beautiful fragrances and intriguing histories. The twelve oils on an audio CD, also included in this collection. Contains 12 single 5 ml oils: Aloes/sandalwood (Santalum album), cassia (Cinnamomum cassia), cedarwood (Cedrus atlantica), cypress (Cupressus sempervirens), frankincense (Olibanum-Boswellia carteri), galbanum (Ferula gummosa), hyssop (Hyssopus officinalis), myrrh (Commiphora myrrha), myrtle (Myrtus communis), onycha (Styrax benzoin), rose of Sharon/cistus (Labdanum-Cistus ladanifer), and spikenard (Nardostachys jatamansi).